Big Driver Golf Course will be the host site for the team of Sectional 1 on Saturday. The District courses these two teams ran couldn't have been more different, with Francis Park being really fast and the course in Jackson being a little damp and more challenging. However, Big Driver will get to play as the great equalizer this week. In the Boys race District 2 Champion Christian Baker will be the favorite as he's been sub 16:00 consistently all season, and ran a PR of 15:22 last week at Districts. 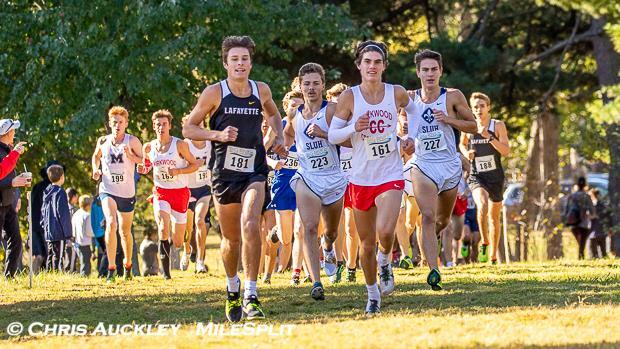 Harrison Brown has also had a good couple of weeks, running sub 16:00 in both of his most recent races including a 15:37 PR last week at Francis Park. The Team title looks like it'll be rematch from last week with Kirkwood projected to squeak out a 53-54.5 victory of Lafayette (Wildwood). St. Louis University High is third with 65.5 points, and Marquette forth with 93. Lindbergh is the next closest with 115, but I think we'll probably see those four District 2 teams advancing. The girls race is incredibly hard to predict. District 2 Champion Chloe Hershenow has the fastest time this season after PRing by nearly a minute last week at Francis Park with an 18:33. 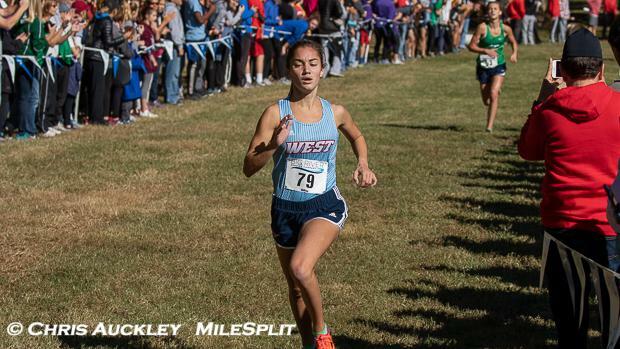 Finishing just behind her last week was Katelynn Quade (18:37) and Anna Karner (18:57). Kennedy Bauer was the District 1 Champion and her season best is 19:24 but I think she would've been right there with them at Francis Park. Lindbergh Teammates Alyssa Forbes (18:59) and Abigail Juedemann (19:00) also could factor in for the title. Should be a interesting race. On the team side of things, Eureka has the edge in the virtual meet over Parkway West 54-60 but West narrowly defeated them at Districts. Marquette is just behind them with 67, followed by Lindbergh with 87. Nerinx Hall is 5th with 97 points and could potentially pull of an upset to sneak in to State. I'd say the top 4 teams will hold their spots, but I think Parkway West will edge out Eureka again. For Class 4 Sectional 1 Individual Rankings and Team Scores Click Here.